Will You Always Love Sanrio? Not love Sanrio anymore? Surely not. This is a question that I sometimes wonder about, whether or not, I'll still be collecting Sanrio in ten years from now. At this point in my life, I don't see myself being disenchanted with Sanrio and moving on from my obsession in the far future. I have been hooked on Sanrio throughout my life, starting from childhood until now. Sure, when I was growing up, I collected here and there, but it was never a full time thing with me. Not until a few years back did I start to collect more frequently than an occasional visit to a Sanrio store. As a collector, I found myself going out of my way to find special merchandise that I couldn't find in my local Sanrio store. Before turning into a full time Collector, I would only buy products that was immediately available at my local Sanrio store. I didn't think far and beyond when I was in that particular phase. I liked Sanrio, but at the time, it didn't consume my whole life. I didn't know there could be more to collecting cute themed characters than just stationery, desktop items, and dolls. In the 90's, there weren't a lot of household decorative items that were easily available to purchase and a themed room (or shrine) would have never occurred to me and plenty others living in the States. I can never say with absolute confidence that I will always be interested in Sanrio. I know that life can change a person in a heartbeat, but whether it'll happen to me drastically-- I hope it won't. My journey still has a long way to go and my theme house goal hasn't been met... yet. This brings me to the subject of one of my online Sanrio buddies who recently told me that she has moved on from her obsession. I kind of already figured out that she was losing interest in collecting Sanrio, but it was still a sad confirmation that another diehard fellow collector has gone onto a different path in life. I've heard about other full time collectors' obsessions fading away and have pondered on as to what could have factored into moving away from Sanrio or the kawaii life. The answer could be many different reasons, such as a change of perspective in life, change of lifetime goals, change of financial status, or-- just a simple reason, it was just a phase in their lifecycle. It could have been a hyped up fad that lead to being influenced by online friends through the power of social media. Another way for an obsession to form could have been influenced by a celebrity who loves Hello Kitty. Or a person can be influenced by the attention that a collector is getting for his or her collection. It may be superficial and may be one of the causes as to why another fellow collector can lose interest in Sanrio. For me, I have always asked myself: what happens when I meet my Sanrio theme house goal? Will I see things differently once I have attained all the things that I would need for a Sanrio theme home? Will I get tired of the double standards that comes with a kawaii life? In Asia, Sanrio obsessions are normal there, but here-- you can be judged for it. 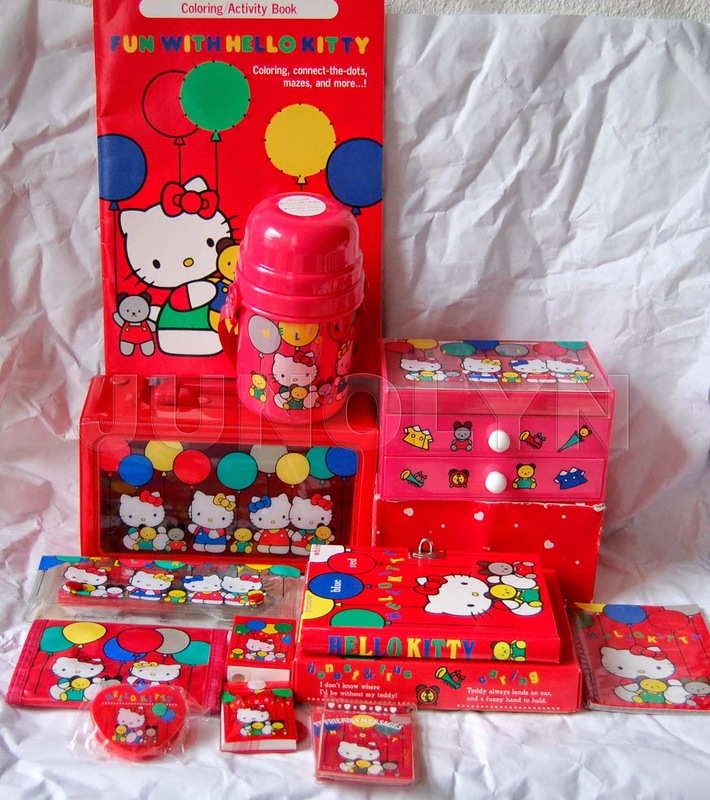 For the most part, Sanrio merchandise comes in plastic and has a less than mature (or gimmicky) feel to the appearance of always coming in the form of stationery and school supplies, rather than more quality home decor that isn't JUST made with cheap plastic and bright flashy neon color pink. There lies the problem. Can cute be turned into cool? There comes a time in your life that you go through phases and Sanrio might be one of 'em. How confident are you that collecting Sanrio isn't just a phase in your life? Will your path lead to a collector's road to continue your journey or will you take the other road and leave it all behind for another obsession?